DeLoach Sotheby’s International Realty is a local St. Simons real estate company providing full St. Simons and Sea Island real estate services. 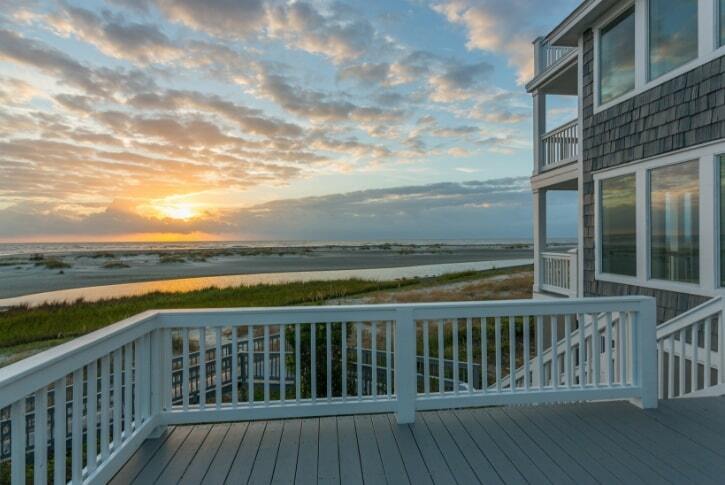 We are dedicated to making it easier to buy and sell Sea Island and St Simons real estate. We live in this historical area filled with abundance and we can’t wait to share with you everything this unique community has to offer its residents. Explore and come back often or contact us today to get started. Our knowledgeable Realtors are ready to answer all of your questions. St. Simons is known for its marshes, beaches, golf and rich history. Buying St Simons real estate on one of the Golden Isles of Georgia, located just five miles east of Brunswick, offers rich lifestyle living for both part-time or full-time residents and vacationers alike. Whether you enjoy waterfront living or views overlooking one of our many golf courses, St. Simons home purchasing options include condos, single family homes plus beach cottages, townhomes, villas and bungalows. Sea Island is an unincorporated part of the Golden Isles offering luxury island living. Since its development in the 1920’s, the Sea Island real estate market has attracted both primary and secondary homes for some of the nation’s most influential individuals. This beautiful island, off the coast of St. Simons Island, offers luxury lifestyle amenities for retirees, vacation renters as well as its cottage owners. With its private beach access and gated entry, Sea Island GA real estate has always catered to the upper-end luxury home and condo market. Give us a call today to discuss your St Simons real estate area buying or selling opportunities or view property listings online 24/7 using our property search feature. With top producing St Simons Realtors in the Golden Isles and Coastal GA area since 1990, Frank DeLoach and DeLoach Sotheby’s International Realty are here to serve Brunswick, St. Simons and Sea Island real estate buyers and sellers. Our vast knowledge of the local real estate market allows our agents and brokers to offer unsurpassed service to our clients when exploring oceanfront, premier investment properties, residential homes, cottages and condos in Coastal Georgia.